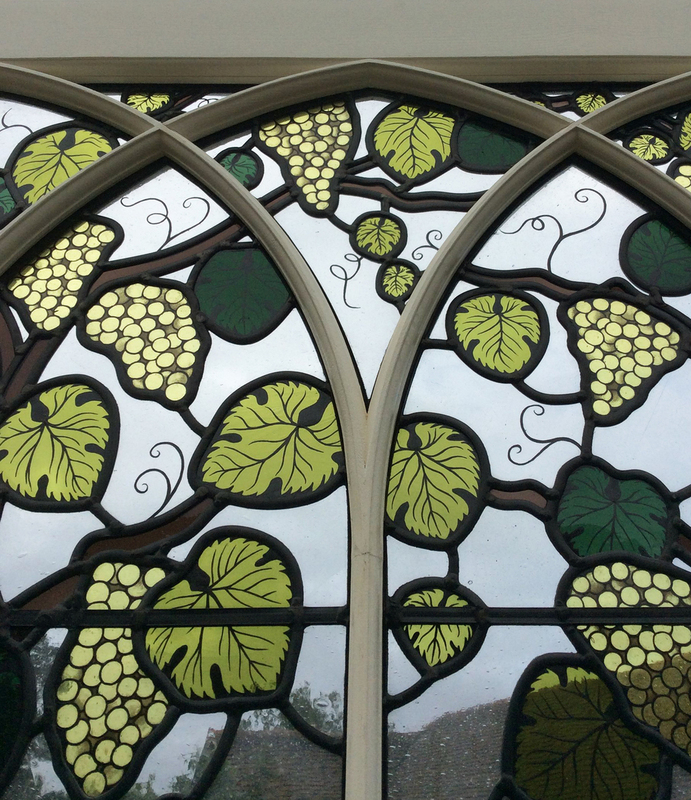 This door is of a classic grapes design, for a private residence in Sussex. 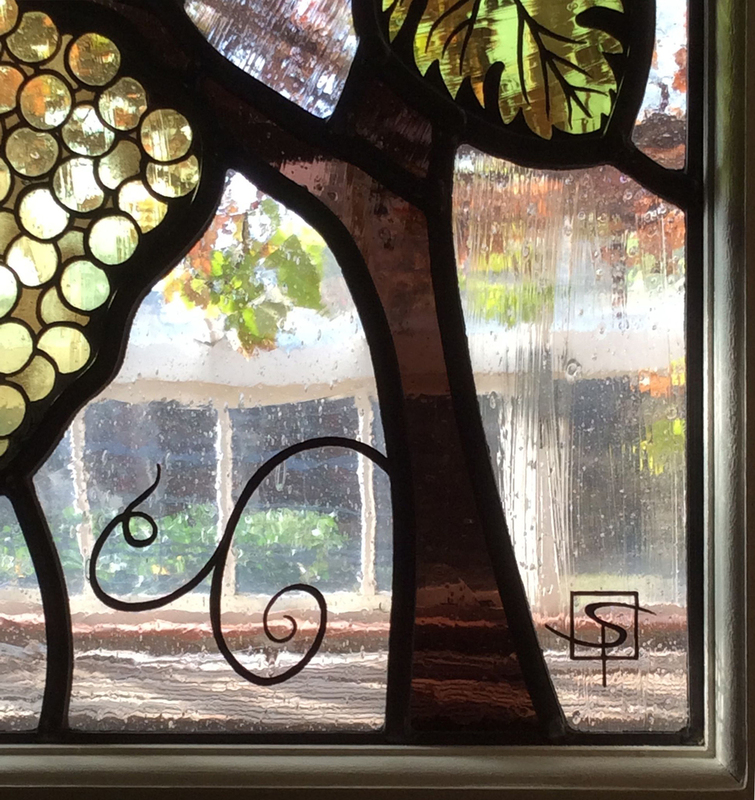 It opens on to a greenhouse with a real vine. The hand-blown glass is painted and fired.